Graham St John is the author of several books including Global Tribe: Technology, Spirituality and Psytrance (2012), Technomad: Global Raving Countercultures (2009) and the edited collections The Local Scenes and Global Culture of Psytrance (2010), Victor Turner and Contemporary Cultural Performance (2008), Rave Culture and Religion (2004) and FreeNRG: Notes From the Edge of the Dance Floor (2001). He is Adjunct Research Fellow at Griffith University and is Executive Editor of Dancecult: Journal of Electronic Dance Music Culture. To read an interview with the author about the book please click here Born from extensive international research, Global Tribe documents a little understood global dance culture that has mushroomed all over the world since its beginnings in diverse psychedelic music scenes flourishing in Goa, India, in the 1970s and 1980s. From small parties to major international events such as Portugal’s Boom Festival, the paramount expression of this movement has been the festival. Via first-hand accounts of the scenes, festivals and music of psychedelic trance (psytrance) in Australia, Israel, Italy, the UK, the US, Germany, Turkey and other places, the author explores this transnational movement with attention to its diverse aesthetic roots, national translations and internal controversies. As a thoroughly engaging multi-sited ethnography and an intimate examination of the digital, chemical, cyber and media assemblage of psytrance, Global Tribe studies the integrated role of technology and spirituality in the formation of this visionary arts movement. The book demonstrates how the event-culture of psytrance accommodates rites of risk and consciousness, a complex circumstance demanding revision of existing approaches to ritual, music and culture. Overview of book’s structure, methodology and author’s motivation in undertaking research. This chapter explores the career of the spiritual experience animating psyculture, from its earliest period in Goa. From the late 1960s, Goa attracted the disenchanted and the decadent, those whose disparate expatriations gave life to a “state of mind”, a mental mosaic which became integral to the evolution of the “trance dance” experience in seasonal Goa, infusing the subsequent psychedelic trance movement. Figures instrumental to psyculture are introduced and benchmark incidents are explained, with the chapter also examining the themes of “authenticity”, “freedom” and “liveness”, as well as the psychedelic Orientalism inhering in the “Goa” sound. In Chapter 3, the idea that the Goa “state of mind” is schizoid is taken up in an examination of the transnationally transposable “vibe” of the exiles. Goatrance may have emerged as a formulaic genre, but the psychedelic diaspora is animated by a cultural noise, dances to different tunes, with the emergent psyculture echoing with tension. The chapter addresses how this seasonal exile socio-aesthetic was rocked by waves of innovation flowing from global cosmopolitan hubs of EDM. Attention is directed to instrumental scene broker Goa Gil whose hybrid project spans historical psychedelias and whose mission to ritualize the “end of the world” has had varied reception, illustrating the heterogeneity of psychedelic trance – a contested music and culture. In its exploration of Goa/psytrance music, Chapter 4 regards this music as an assemblage of technics that have been sampled, remixed and repurposed to the variable transit of the self in reflexive modernity. The assemblages I call spiritechnics are guided by differing modalities of “consciousness”, shaping practices with varying means and ends: progressive and transgressive, nihilistic and gnostic, self-directed and planetary. Using a spectrum of sampled content programmed within psytrance releases and promotions, the chapter demonstrates how its sonic fiction orchestrates the departure from, connection with, and evolution of, consciousness. Whether concerned with the unconscious, outer space, virtual reality or the wilderness, re-mediated liminality is adapted by the psychedelic mystics and media shamans of psytrance to facilitate these conditions of transit. Popular culture, psychoactive (or more accurately “entheogenic”) compounds, and the experience of revelation are the media and the means emixed by the technicians of transition. Chapter 5 explores typical ‘events’ designed to facilitate varied and interacting modes of consciousness. With specific attention to Boom, total solar eclipse festivals, and other events, parties are recognized as spiritual technologies accommodating multiple transitional pathways, a circumstance amplified by their psychedelic praxis and aesthetic. At the world’s biennial summit of psychedelic trance (Boom), its Liminal Village contrasts with the main floor, the Dance Temple, as the head does to the body, yet their synergetic relationship is pivotal to a movement where integralism is programmed into its festival culture. Additionally, total solar eclipse festivals, such as Soulclipse in Turkey (in 2006), are recognized as pinnacle achievements in post-Goa psychedelic mysticism – the visionary arts platforms of a planetary culture. Chapter 6 approaches the vexing subject of trance dance itself, the raison d’être of psychedelic trance culture. Dissatisfaction with the term “trance” inspires a heuristic acknowledging a range of activity within the “weekend societies” of psyculture. The contemporary Goatrance party is rooted in the cosmic carnival, which is shown to augment the carnivalesque with a Space Age psychedelic aesthetic. In the music and the events downstream from its Goa origins, progressive and ludic sensibilities are demonstrated to comprise the trance experience. 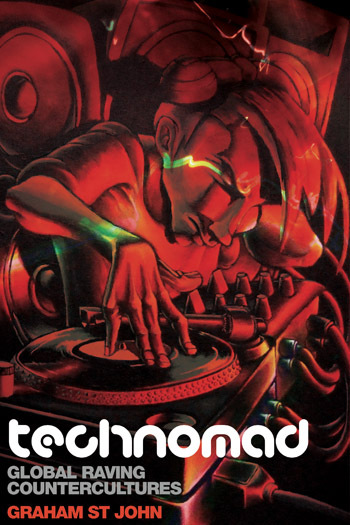 The trance culture that fomented within these recurrent events has given rise to what may more accurately be named neotrance, an ecstasic/theatrical dynamic where surrender to the funky flow and freak performance are integral to the mix. In Chapter 7 I pay attention to two national scene developments. 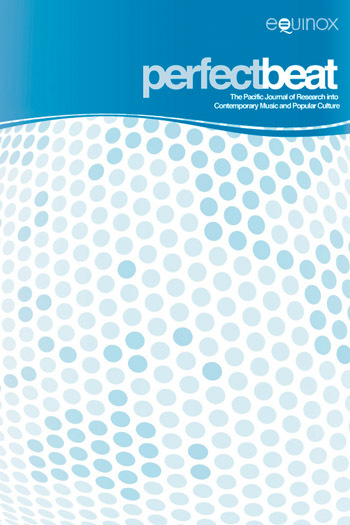 Comparison of global psyculture in Israel and Australia serves to demonstrate the diversity of post-Goa culture as it became translated in countries with disparate cultural, historical and geographical conditions. These examples show how aspects of Goa/psytrance have been pressed into the service of religious, spiritual and intellectual agendas in the respective regions, and how national and cultural climates have shaped a mix of agendas, from the rebellious to the proactive. While no singular narrative prevails, amid the carnivalesque noise of psyculture, the dance floor is the ultimate grounds for a religious experience recognized by participants across these diverse national scenes. That psyculture is a movement context for the establishment of identity, prestige and cultural capital through a range of transgressive and reflexive behaviours is examined in Chapter 8. The performance of risk and the arts of consciousness are polar intentions dramatized in psytrance events, the study of which is assisted through the application of Bourdieu’s “cultural capital” to a complex cultural movement. In psytrance and visionary arts cultures, distinction is accorded not only to those who perform lifestyle risks but to those committed to identifying and reducing risks based on ecological and humanitarian concerns. In a revision of Turner’s concept of liminality by way of a detailed examination of intentional ritualization within the psytrance movement, Chapter 9 completes this study. Downstream from Goa, a hyperliminal noise of risk-laden and reflexive commitments characterizes festivals whose differential logics of sacrifice are explained. As the paramount expression of this movement, its festivals are vehicles for transgressive and disciplined concerns articulated in rites of risk and consciousness. Rooted in the experimental adulthood/ extended adolescence of the 1960s–1970s, psytrance is then recognized as a complex liminal culture which knows no bounds. The author concludes and summarizes his interpretation of the psyfestival as a product of countless iterations and programming decisions determining form. Impacted by sometimes competing expectations, conditioned by various responsibilities, operationalized through diverse artifice, challenged by adversaries, it is a contested and sometimes controversial arena subject to negotiation. The analyses of psytrance culture found in this book are insightful and serve to illuminate its complex religious dimensions. From the esoteric traveler jams of Goa to the liminal zones of Boom and Burning Man, Graham St John guides us through the cosmic carnival of global psytrance with an intoxicating blend of deep research, empathic ethnography, and edge-dancing cultural analysis. This is the definitive book on what has become, from the perspective of planetary spiritual culture, the most resonant music scene of our transhuman century. 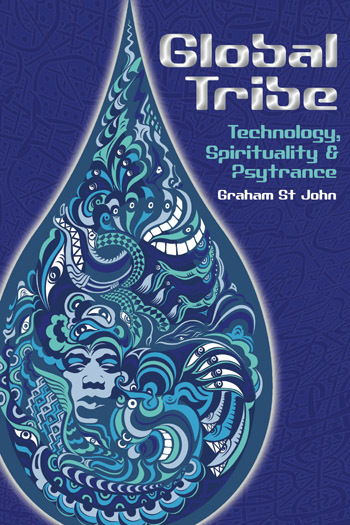 Graham St John writes more insightfully about psytrance than any other academic. He provides a sophisticated understanding of that subtle relationship between contemporary spirituality, dance and music. The festival and the party are also a window into broader cultural trends. He understands both the intensity and transformative experience of psytrance, and draws on, and develops, contemporary academic theory to interpret psytrance in a way that is both respectful and incisive. We need more work like this. Idealism is particularly rampant in the psytrance phenomenon, as documented in tremendous detail by Graham St. John in his new book. Rising out of the scene in Goa, India (which should be our first red flag) in the 1970s (which should be our second red flag), ‘Goatrance’ as it came to be called ‘later developed as psychedelic trance or psytrance, which splintered into numerous subgenres by the early 2000s’ (p. 3). Accordingly, the book “is a study of the Goatrance movement as it mushroomed around the world from the 1990s, attracting the designation “psytrance” by the end of that decade’ (p. 3). Showing a truly stunning familiarity, even an affection, for the psytrance circuit (St. John is the founding executive director of Dancecult: Journal of Electronic Dance Music Culture, and his own website has a distinctly psytrance feel to it), the author explores the musical and technological foundation of the movement, its relation to the 1960s ‘quest for experience’ (p. 4), and its evolution (or devolution, depending on your point of view) in the context of global tourism, modern spirituality, and late-capitalist commodification of just about everything.